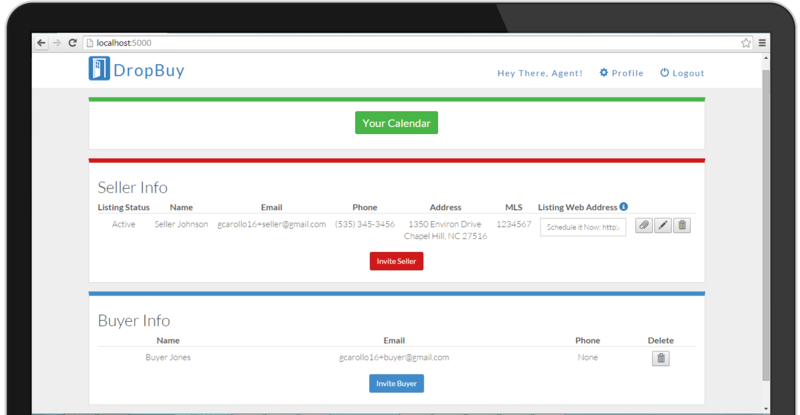 A calendar for buyers, sellers, and agents to share availability in real time. Eliminate phone calls and wait times. You set your hours. 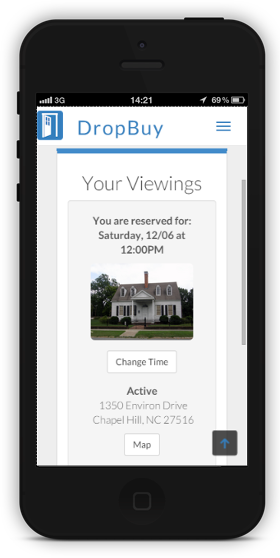 Control your home's availability and know when people are viewing it. Spend fewer hours calling and emailing. Spend more time closing deals. Instantly schedule showings. Eliminate phone calls and wait times. Why wait and receive out dated information? DropBuy gives you the power to know what is going on now. Simply make and change appointments on your calendar. Everyone else's will automatically update. 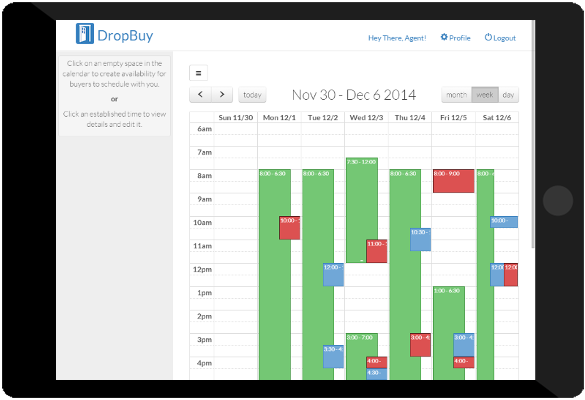 DropBuy lets you control your appointments. We've removed the middle men so you control the process. Everyone now has the power to make, edit or remove appointments. Received notifications when an appointment is made and updates when things change. As soon as an appointment is changed everyone is instantly notified. No need to make all of those phone calls. DropBuy gives you the data you need to help you make educated decisions. "Using DropBuy saves me a ton of time." "My clients feel more empowered and I am closing deals faster."